Exploding estrella. A new observation from NASA's orbiting Chandra X-ray telescope reveals evidence of a bullet-shaped object that was blown out of debris field left por an exploded star. 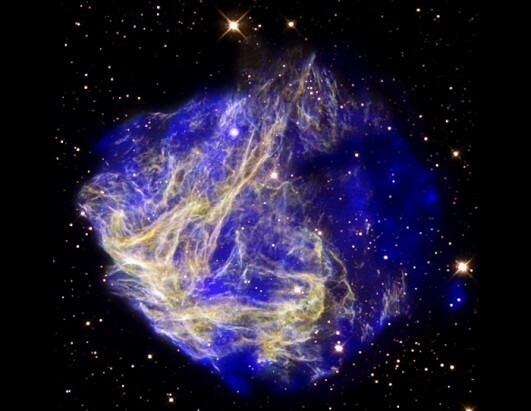 This composite image shows N49, the aftermath of a supernova explosion in the Large. Wallpaper and background images in the God-The creator club tagged: loving god beautiful creations.